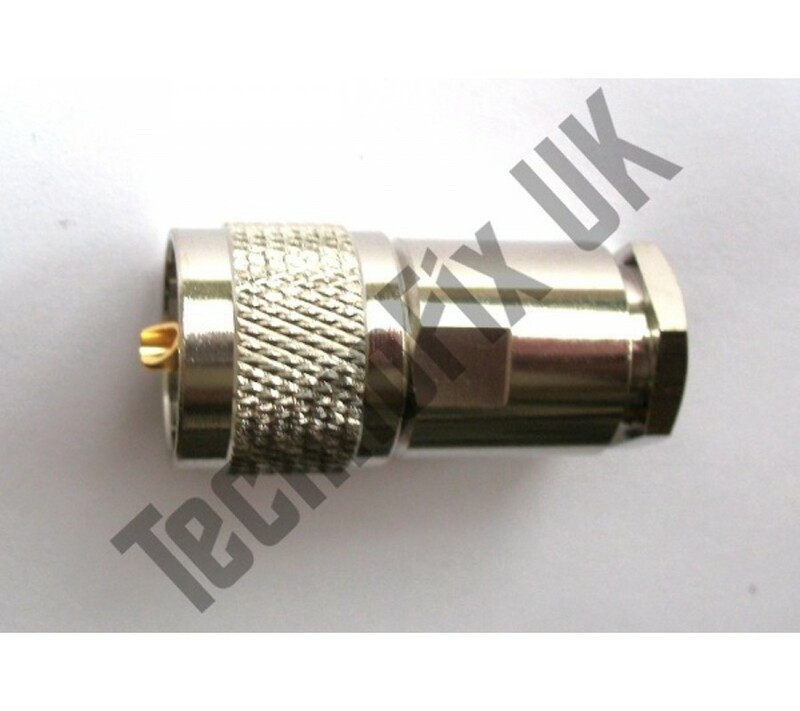 PL259 UHF Male compression clamp connector RG8 RG213 LMR400 etc. 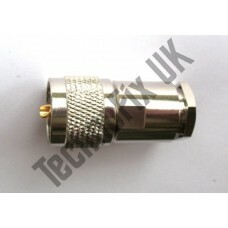 High quality professional connectors, to suit cables with an outer diameter of 10 - 10.5mm. 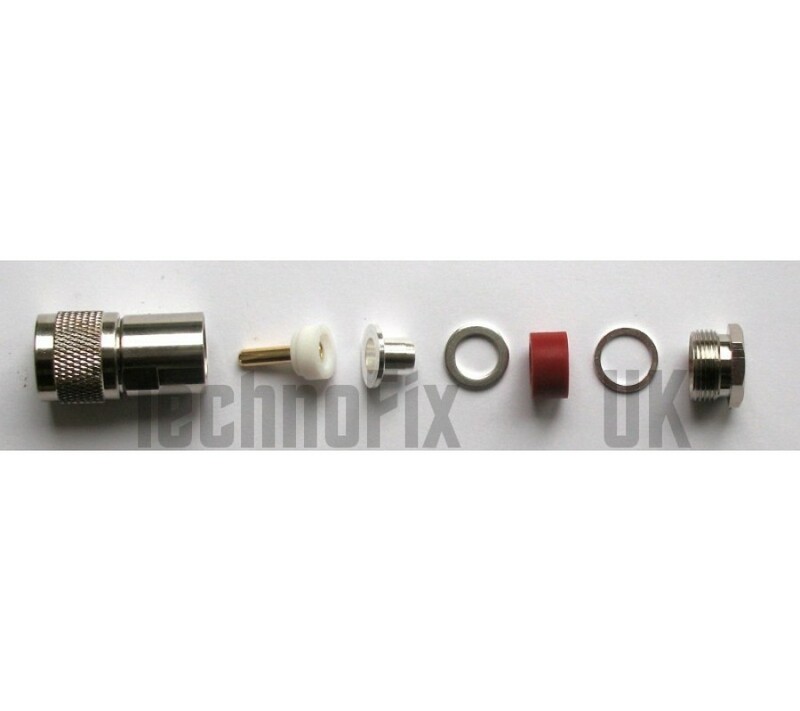 Centre pin requires soldering.